In the Senior County Cup, our own team Phoenix Athletic beat Robin Hood 6-1 to move into the next round – with goals from Emmet Edwards, Jamie Carlton, Michael Robb, Declan Flowers, Gareth Thomson and Tobias Clayton. In the Intermediate County Cup, we have not been so successful – Mis United beat our Lord Nelson 7-1 – even with a goal from Sean Allen. In Division 1, The Vale jump up to third place in the table, after a 1-0 away win over the current leaders Radford. David Bannister allowed this to happen with a fantastic header in the second half. Aspley United are also on the up, with a great 4-2 home win against White Swan. Goals from Ashley McKay and Alex Curran were just not enough this week for the Swans, and singles from Wayne Evans and Simon Cassidy, coupled with Steff Dalmedo’s brace allowed Aspley to gain the win. In Division 2, Eastwood Community took advantage of Medina’s week off from the divisional matches, and jump into second place – just one point behind the leaders. Their impressive 10-1 home victory against Toton Hill gave them the important three points they needed to let this happen. JP Newbold scored boldly for Toton, however with hat tricks from both Luke Allwood and Adam Thomson, and a double brace from Adam Hassle, ECFC begin to chase the leaders for the top spot. Friar Tuck move into fourth place, after a 2-1 away win over Reckitt Benckiser. Ryan McGinn scored for RB, however goals from Peter Opie and Tom Lewis allowed Friar Tuck to move ahead and take the win. New team ABP FC kick off to a great start after a brilliant 8-2 home win over Kingswell Rangers II. Andrew French and Richard Colebrooke scored well for the Rangers, however David and Dean Hickman, alongside Paul Hurt and Mark Bird scored some impressive goals for ABP – a hat trick from Edward Smyth finalised the score in ABP’s favour. Notts United begin to move back up the table after a few knocks, this week winning 3-0 away against Dowlings. Callum Cossey’s brace backed up by a goal from Mark Armitage allowed Notts to take the win. Southbank also begin to find their winning form again after winning against Arnold Victory 2-0 this week at home – with goals from Ryan Bramley and Seldon Tuih. Division 3 see Duke of St Albans make it their third consecutive winning week, this time against Beeston Hornets away – with a victory of 4-1. Tom Cowling scored well for the Hornets, however braces again from Dale Hatton and Connor Scott allowed the Dukes to come away victorious, which also led them into sitting in third place in the divisional table. Athletico Rangers sit just behind them after a string of wins – topped off by this weekend’s 5-2 home victory over Beeston Mariners. A hat trick from Daniel Cooper, supported by goals from Paul Swift and Reece Bestwick outweighed those goals for the Mariners from Chris Blair and Mark Hemp. 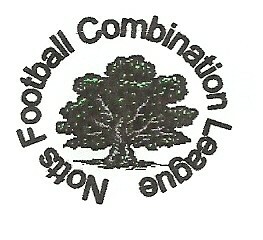 Nuthall County and visiting side Scorpion United FC both gain a point this week for drawing level at 2-2. In the first half, all goals came from Scorpion United – those being Colin Brown-John and Daniel Halligan. Second half goals came firstly from Tremere Lindo, followed by the equaliser in the 75th minute by Ste Jackson. Finally, away side FC Eagle come away with the win over division leaders FC Galaxy, with a win of 5-2. Chris Jones and Daniel Huskinson scored well for Galaxy, however Eagle’s goals, with a brace from Pete Sounders and a hat trick from Jordan Ward allowed the away side to take the win – leaving them sitting just one point behind Galaxy. OCTOBERFEST OF GOALS  The start of October has seen some very good matches, with all divisions doing well, and individual teams jumping up the rankings in the bid for the top spot.